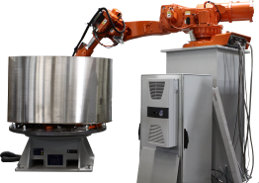 Robotic systems of HAUSCHILD perform different processing methods for the production of hollowware. 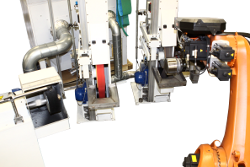 The grinding and polishing machines of HAUSCHILD are designed for the processing of knives, spoons and forks. 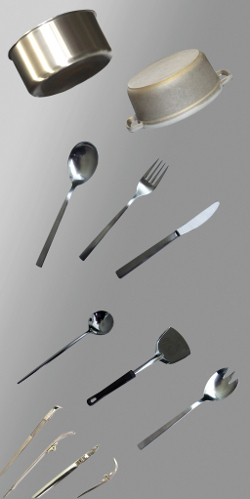 For rough and final polishing of spoons and forks different models of the series DWP are assembled to one production line. 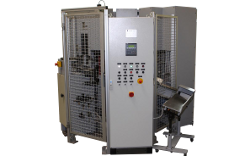 The double shaft polishing machine type DWP/2S is designed for the polishing of blades of monobloc knives, mounted knives and knife blades before setting into hollow handles. 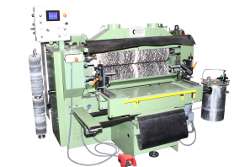 The double shaft polishing machine type DWP/2M is designed for polishing of knife handles at monobloc knives, mounted knives and hollow handles. 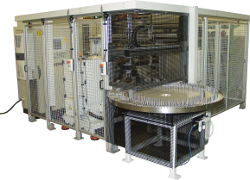 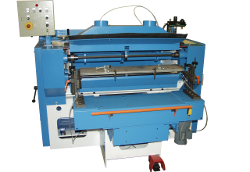 The polishing machine type DWP/2K polishes the edges of cutlery bowls and handles in two steps. 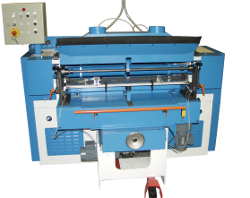 The double shaft polishing machine of the series DS is used for rough and final polishing of the narrow edge area of the handle neck (transition between handle and bowl) of spoons, forks and similar workpieces. 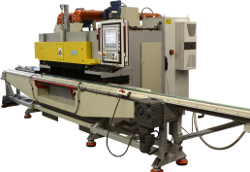 The CNC controlled double shaft polishing machine of the series PS-CNC is equipped with a control system which enables a programming and storing of all process parameters. 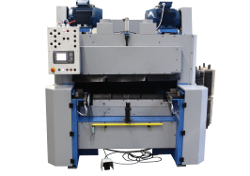 The CNC controlled double shaft polishing machine of the series PC-CNC is designed for rough and final polishing of knife blades up to a length of 650 mm (25.6"). 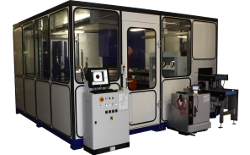 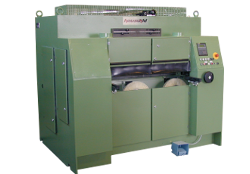 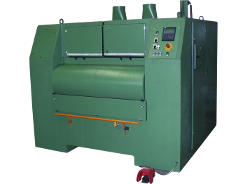 The single shaft polishing machine of the series EB is an end facing machine. 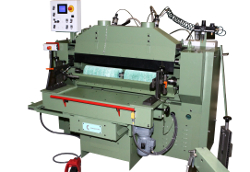 Depending on its configuration, it can be used for rough or final polishing of spoons, forks or similar items. 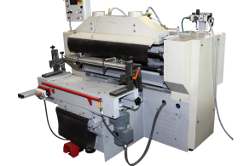 The automatic single shaft polishing machine of the series EWP machines the inner and outer side of cutlery bowls. 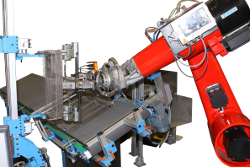 Fully automatic robot plant for polishing the inner side and the shell surface of hollow-ware.